Last night during the Super Bowl, as the power outage reached the 20 minute mark, I could only wince thinking of the panicked stadium operations team hustling to get the lights back on. What worse time to experience a failure than when you’ve got thousands of people trapped in Superdome and another hundred million watching you on TV? Industrial Electricity and Electronics – Evidently the Superdome staff could use a refresher in some industry-specific skills. What to Do in Case of Emergency – I would make sure the my team knew how to stay calm and prioritize effectively as they address emergency situations. Electrical Safety General Awareness – Even though you’ve got more than 100 million people waiting for you to turn the lights back on, it’s no time to cut corners with safety. Electrical Maintenance – Part of preparation is anticipating any possible failure. I’d make sure the electrical team knows how to maintain, inspect and stress-test the infrastructure. How to Give Exceptional Customer Service – Getting the lights back on isn’t enough. You’ve got a lot of spectators getting antsy. Invest in training staff stadium-wide to put the quality of customers’ experiences first. Of course, all the planning and rehearsals in the world can’t prevent every mistake or equipment failure! It’s fun to take a light-hearted look at what went wrong at the Superdome last night, but the reality is that we have all been there. In an important meeting, your laptop won’t work with the projector – or your course doesn’t work on the CEO’s favorite browser – or you discover information you got from your so-called subject matter expert is an out-of-date embarrassment. Mistakes happen. The key to making sure you don’t make the same mistake twice is evaluation, analysis and evolution of your processes to make sure you understand what went wrong. 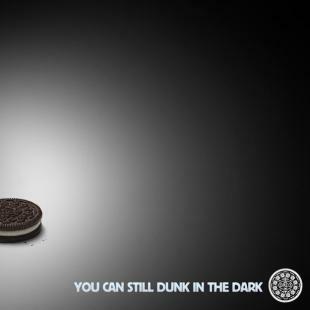 You can take your learning to the next level by seeing if you can make your emergency an opportunity, like the smart folks at Oreo did last night. Their lightning-fast Twitter response to the power outage became an instant sensation – because they had the right people in the room, were willing to take risks and embraced the opportunity to connect with their community. If you’re recovering from a work disaster, you can join the Superdome staff in getting back on track by learning from the mistakes and preparing for next time.